Simon & Schuster, 9781501111587, 368pp. 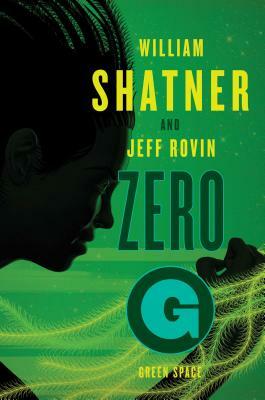 In the second installment of William Shatner’s Zero-G series, Director Samuel Lord must identify a mole sabotaging the top-secret NASA project aboard the US space station Empyrean, while also fighting a fast-replicating virus that threatens humanity. In the year 2050, the United States sends the FBI to govern its space station, The Empyrean. Under the command of suave, eighty-year-old director Samuel Lord, the “Zero-G” men are in charge of investigating terrorism, crime, corruption, and espionage, keeping an eye on the rival Chinese and Russian stations as well. Under the guidance of Director Samuel Lord, Zero-G must not only identify the spy, but help find a way to stop the fast-replicating vine…and a form of “space zombie” birthed by the nanites. The surprising solution takes Lord and a Russian pilot on a dangerous mission to Venus—where a shocking discovery awaits.